The code_orange program is a unique Discover® employment opportunity for students of Northern Illinois University. Discover is looking for undergraduate students that value exploring new ideas, problem solving, designing new solutions and developing applications using the latest technologies. Campus Innovators will have access to a state-of-the art Discover Lab located in the center of campus at the Founders Memorial Library. This provides students a great balance of taking classes and experiencing real work in Discover’s culture. Students will also interact and network with Discover mentors and management. Discover is looking for undergraduate students who will be a junior or senior at Spring 2019 working towards developing expertise in areas such as computer science, computer engineering, informatics, management information systems, information security, networking, telecommunications or a related discipline. 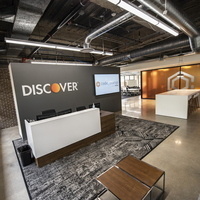 Stop by the Discover lab open house to get more information and how to apply! Why you get bored with half an hour test? Because, in university levels we have to give exams of more than 3 hours. I think your https://www.sellhomefastphoenix.com/ is not professional at all. That’s why you hate to give exams and want to spend more of your time in leisure.